Beautiful custom built 6 bedroom and 4 bath 1st Tier home with Gulf & Bay Views. Only steps from the Gulf of Mexico. This home is fully furnished with great rental potential. The brick paver driveway is beautifully landscaped with palm trees. The first floor consists of 3 bedrooms, 2 baths, and a living area with a wet bar. 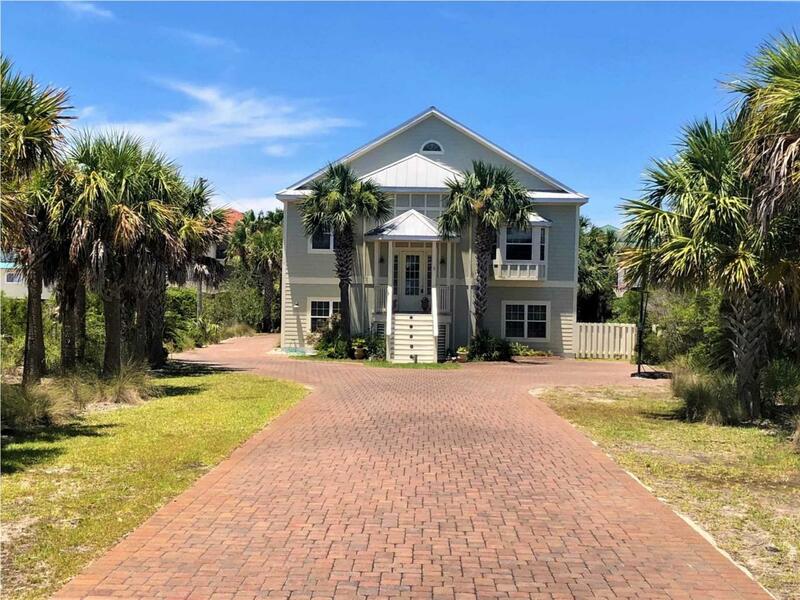 The 2nd floor has open floor plan that has granite countertops in the kitchen, stainless steel appliances and ample space to relax or entertain on the spacious deck. The master bedroom with en suite bath as well as 2 additional bedrooms with a jack n jill bathroom. There is a 3rd floor entertainment room with custom made bunk beds that sleeps 8. The ground floor has an nice open patio with an outdoor shower. HURRICANE UPDATE: Home sustained roof damage.